CLEAR IT SECURITY has been providing ring Floodlight Cam installation service near me in the DFW metroplex area ever since it’s release in mid-2017. 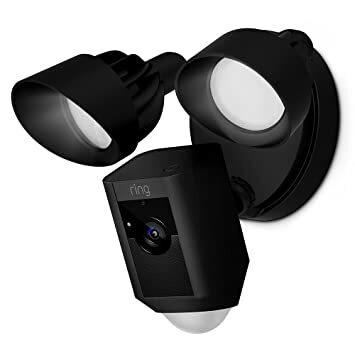 ring Floodlight cameras offer amazing live 1080p HD video, motion-based cloud recording, 2 ultra-bright LED floodlights and a 110-db siren that can be activated via the ring app when properly installed and configured. We are the ring installation experts and have professionally installed nearly every ring product available since the very first ring doorbell was released in 2014. Be sure to checkout our ring Video Doorbell Cameras and installation service for more information! Why should I have a Clear IT Security expert help me plan for and choose my devices, perform installation, configure settings and integrate my smart security devices? Clear IT Security experts have over 25 years of experience in IT, Security Cameras, Access Controls and Alarm Systems. We have installed thousands of smart devices and have the tools necessary for professional installation and troubleshooting issues. We know the ins and outs of our devices and stay up to date with the latest in tech advances. Many devices such as doorbell cameras, floodlight cameras and other wireless cameras require strong Wi-Fi signals and fast internet connections to operate properly. Our techs have the equipment necessary to test, evaluate and improve your Wi-Fi signal or internet connection, if needed.We can work with you to create a Clear IT Security plan for your home or business to meet your security, automation and integration goals. Our system installations are well documented and labeled to provide you with Clear IT Security and Support when you need it! What can I expect from this service and how long does it take? 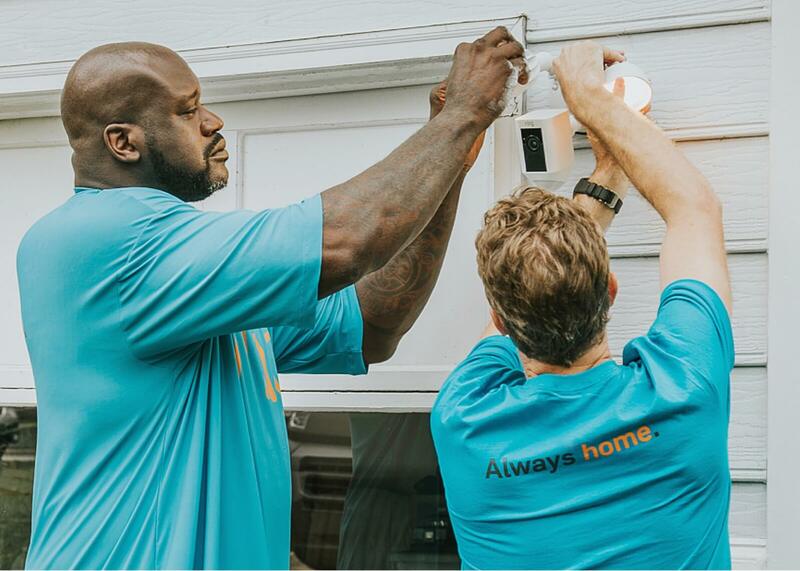 You can expect 1-2 installers to arrive within a 2 hour appointment window and remain on-site for approximately an hour per camera (depending on difficulty) or until the job is complete. The installer will confirm his identity, go over the installation location(s), disconnect power at breakers, remove existing light(s), prepare surface(s), drill hole(s), install and position the ring Floodlight or Spotlight Cam(s) and create water-tight seals. 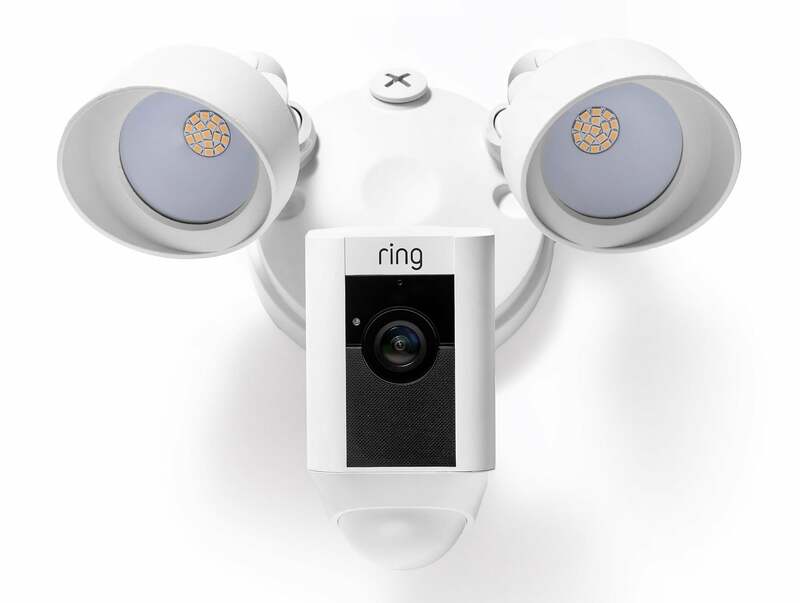 Once complete, the tech will assist with the ring app configuration and a final assessment and alignment of the camera’s lens will be carried out with you to confirm your camera’s field of view is properly set. This service is for the removal of an existing outdoor light (or floodlight) and installation of a ring Floodlight Cam or Spotlight Cam on a single story home or business. A ring Floodlight or Spotlight Cam is not included in the service cost — see below for pricing. Assistance with ring app download, installation and Wi-Fi configuration on up to 2 phones or tablets is also included. Second-story or installations above 14′ feet are not included — please contact us for an estimate. Additional wiring or locations without existing lights will also require a custom quote. See What’s Included below for more details. What do I need to be ready with prior to the appointment? The technician will need access to your electrical breaker panel and any switch(es) used to control your existing outdoor light. Please let us know if you have a ladder on-site or if we need to bring a certain height ladder. Please have the ring app installed on any smart phones or tablets you want to use and create a ring account. You can use the same account on all devices or share access from the main ring account. You will need to have your WiFi name and password information available for the technician. For our technician’s safety and protection of your property, please have all areas where the installation is occurring fully accessible, clear of obstructions and do not have any known active bee, wasp nests or other infestations in, around or near any of our working areas! Don’t trust your investment to an amateur installer. Our professional installation includes everything needed including sealing any holes, setting up your Wi-Fi connection and troubleshooting issues that may arise during or after installation. ring Spotlight Cams are a great addition to any new or existing, home or business security system. We can install one you already have or we keep both the white and black versions in stock. Please note: ring cameras include a free 30-day trial of cloud recording services per device. To record and store video beyond the free 30-day trial you must subscribe to a cloud recording plan. Ring currently charges $3/mo per device or $30/yr per device OR $100/yr for all devices on account. Don’t want to pay for recording? Check out our CLEAR IT SECURITY Doorbell Cameras that don’t require a monthly fee and Surveillance Camera Systems that record and store EVERYTHING 24/7 for no additional monthly charges.